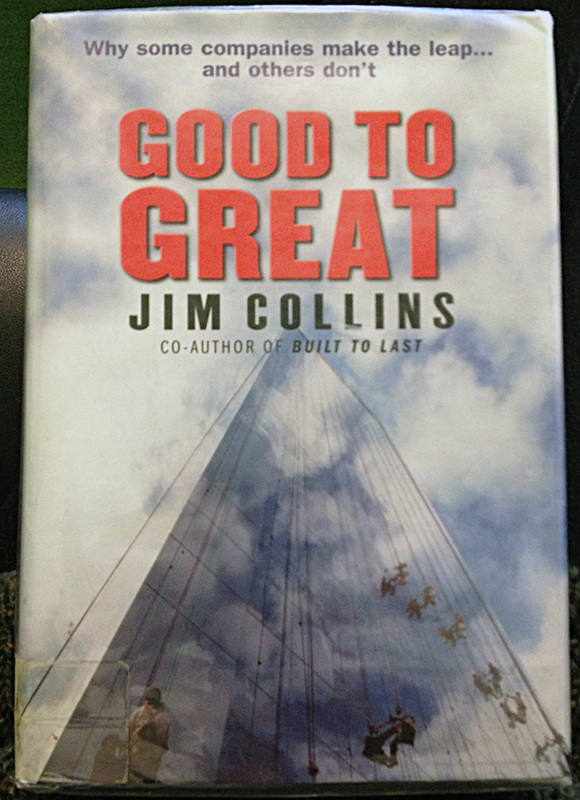 I really enjoy the book Good to Great by Jim Collins. It’s a book about business. I found it compelling but, even after having read 2/3 of it some years ago, I still often wonder: what does it all mean? Perhaps I will never fully know. An M.D. friend of mine told me about the book. He found that it applied to multiple contexts. Another colleague of mine has been reading it, and I’ve flipped through it several times lately while visiting in his office. As for myself, I think I’m better at achieving greatness in some contexts than others. In business I’ve little idea of how greatness looks or feels. In work and in life, I’ve achieved things that seem pretty great to me. 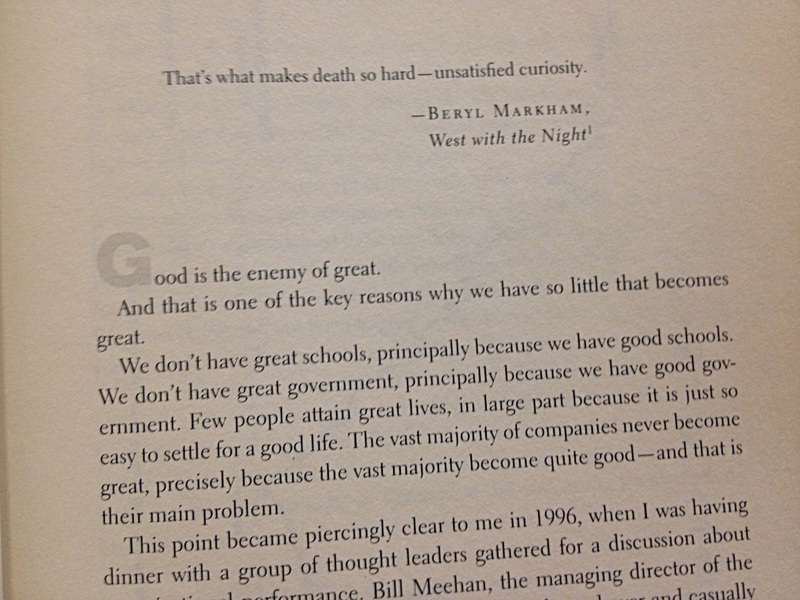 Beryl Markham provided the opening quote Collins used in his book: “That’s what makes death so hard — unsatisfied curiosity.” Of course, we have all heard that curiosity is also what killed the cat. Striking the right balance isn’t easy. Defining new goals has always been the biggest challenge for me. And I see I’m not alone. Defining appropriate goals for achieving greatness requires curiosity and experience. So many companies are limited by their own success, Collins asserts, that they don’t flourish because they limit themselves to tried and tested approaches that they don’t realize are outdated. If they do realize it, they usually are unable to shift to new approaches anyway. Achieving those goals requires skill, perseverance, and steadfast determination.